High Polished Stainless Steel Railing: Building a bar? Create a stylish railing system with our quality commercial grade fittings ideal for balconies, stair rails, dance bars, bar rails & guard rails. Made of 100% stainless steel this rail tubing has a tarnish-resistant High Polished Stainless Steel finish. 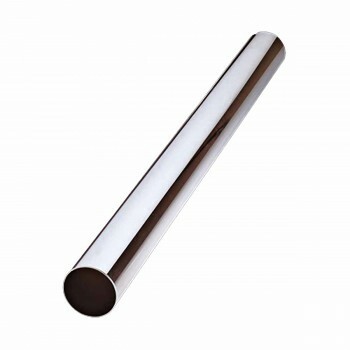 Our High Polished Stainless Steel bar rails are 0.05 gauge. 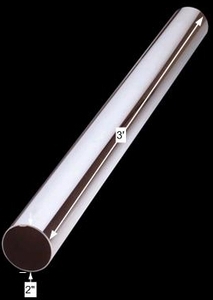 Rail tubing diameter is 2 in. and tubing length is 3 ft. long.